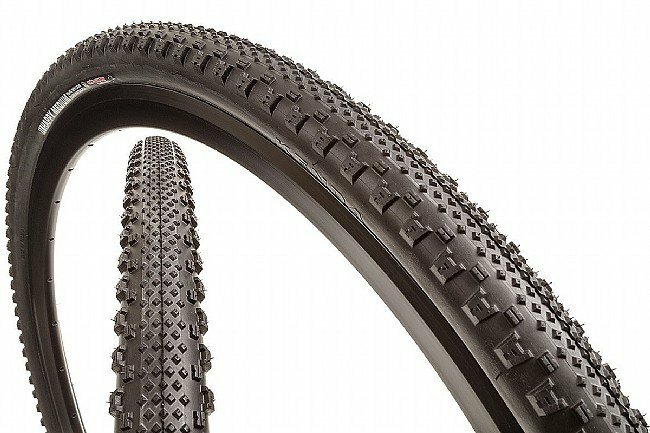 Kenda's Happy Medium 24" Cyclocross Tire strikes a balance between straight-line speed and confident cornering bite that results in performance that's much better than just middle-of-the-road. File tread down the center gives the Happy Medium its quick-rolling abilities while aggressive outer tread digs in when leaned over for ripping around the bends. This is furthered helped along with a Dual Tread Compound, comprised of a harder rubber in the middle and softer, grippier rubber at the edges. 24" x 1.125". 30 TPI casing. ISO 32-507. Wire bead. Claimed weight is 347 g.